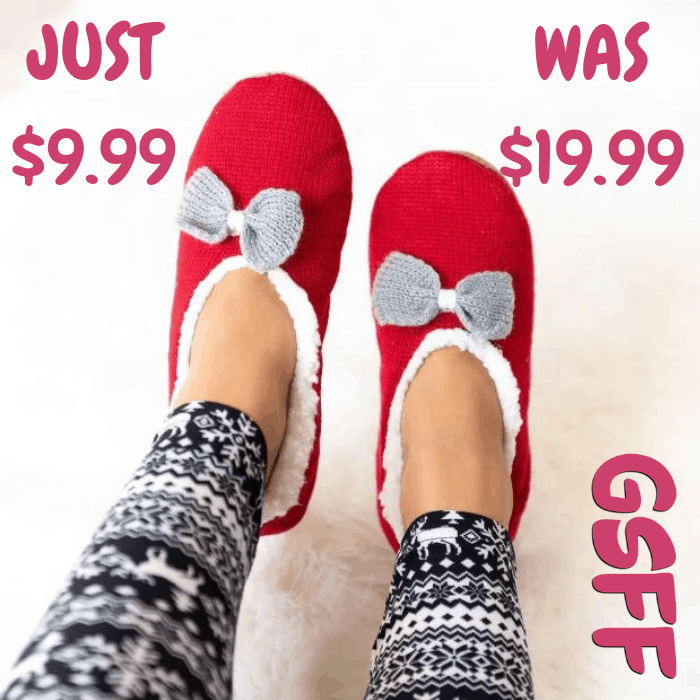 Sherpa Cozy Slippers Just $9.99! Down From $20! FREE Shipping! You are here: Home / Great Deals / Sherpa Cozy Slippers Just $9.99! Down From $20! FREE Shipping! This deal ends on December 9! Hurry over to Jane where you can score these Sherpa Cozy Slippers for just $9.99 down from $19.99 PLUS FREE shipping! Whether it’s because you have cold hardwood floors or your feet just tends to get cold easily, these socks will keep them feeling nice and toasty and work great as complimentary socks for your loungewear as well. Each step will also feel like walking on a super soft carpet. Each sock also includes a knit bow for a cute look. Non-constricting opening and slip-resistant gripper for the best wear experience.